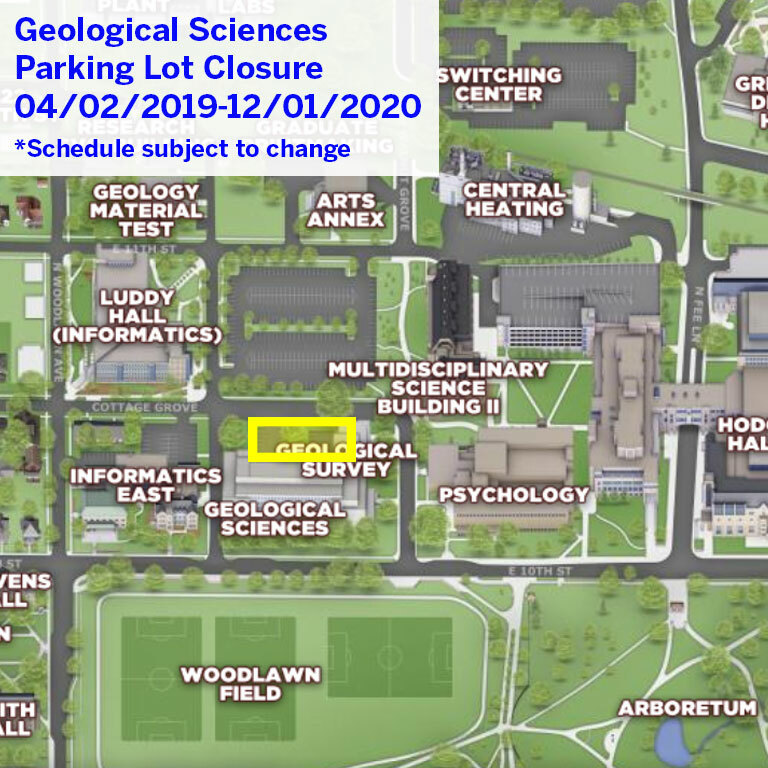 The parking lots immediately north of Geological Sciences will be closed starting Apr. 2, 2019, through Dec. 1, 2020, for the renovation of Geological Sciences. The loading dock will remain accessible throughout the project for deliveries and as an accessible entrance. A few accessible parking spaces will be available within this lot as well. Schedule is subject to change.